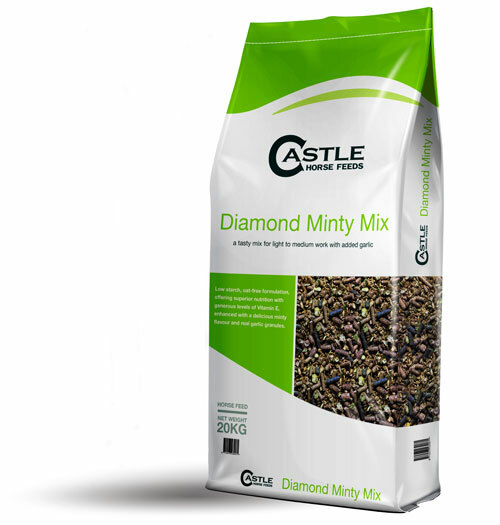 Diamond Minty Mix is an oat free mix for horses and ponies in light to medium work. This mix contains elevated levels of fibre to support hindgut health and function, whilst supplying essential nutrients to help promote health and performance, with a delicious minty taste and real garlic granules. 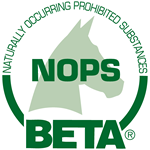 Oat Feed, Grass Pellets, Micronised Flaked Barley, Rolled Barley, Molasses, Micronised Flaked Peas, Wheat Feed, Micronised Flaked Maize, Vitamins & Minerals, Hipro Soya Meal, Garlic Granules, Mint Flavour, Hipro Sunflower extract, Soya Oil.